October is the most popular time of the year for homeowner to remodel their baths and kitchens. That’s why NKBA created the Kitchen & Bath month in 1982. SaveMore joins that tradition to provide you with some remodeling ideas for your dream bath & kitchen and to make you feel more comfortable in your home. Our first article in the Kitchen & Bath month is about how technology can improve comfort in your home. State-of-the-art technology is at the core of advanced hygiene. 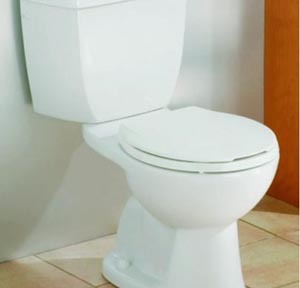 Smart toilets and toilet seats take hygiene and comfort to the next level. The term “Smart Toilets” comes from the modern technology of the “Smart Home”, which means the automation of systems for control of lighting, heating, security etc., to provide improved convenience, comfort and energy efficiency. These conveniences are now available for your bath. The new technology of TOTO’s WASHLET smart toilet using warm water which cleans far more effectively than paper. The temperature and flow can be easily adjusted with a remote control and it self-cleans before and after every use. It also includes an energy-saving mode to increase the energy efficiency. Let’s add some technology to your sauna! Imagine being able to come home from a long working day and slip into the comfort of your pre-heated sauna. Ti-Touch from amerec gives you the ability to set the temperature and the time with a delayed start option. Ti-Touch has a dark glass display panel and soft glowing lights to provide a modern look that fits well with designer homes. The Canadian manufacturer Valley has developed an innovative bathing system this year which offers a deeply personalized spa experience within your own home. The Vigor+ Spa System combines three of nature’s most powerful elements, heat, water and air. These combination eases mental stress, bathes physical fatigue away, relaxes tense muscles and boosts energy levels. More information about the Vigor+ Spa System can be found here. Technology is not only for the bathroom, your kitchen can be part of your smart home system as well. How would like your coffee to come out of your kitchen faucet in the morning? The Danish company Scanomat has developed a system called Top Brewer, which is a combination of hard- and software to create beverages from coffee to sparkling water, cold milk, and more with your connected mobile device. TOTO’s WASHLET, Valley’s Vigor+ Spa System and Scanomat’s Top Brewer can be ordered in SaveMore Plumbing and Lighting Showrooms. Are you a designer, architect, plumber or builder and would like to see more about “Innovation in the Bathroom“? Join our event on the 13th of October 2015 and meet & greet with us.